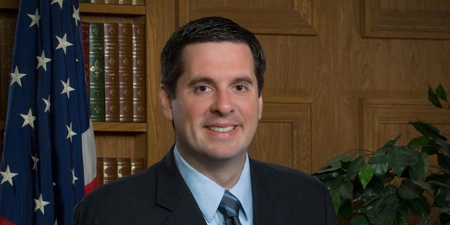 U.S. Rep. Devin Nunes, R-Calif. Photo by U.S. Congress, via Wikimedia Commons. Republican California congressman Devin Nunes has sued Twitter and three of its users for $250 million for alleged defamatory tweets that eroded his voter support and benefited opponents. The lawsuit, filed in Virginia state court earlier this week, alleges that Twitter censors content with which it disagrees, ignores complaints about offensive content, and knowingly hosts and monetizes content that is “clearly abusive, hateful and defamatory.” The New York Times, Fox News, the San Francisco Chronicle and BuzzFeed News have coverage. “Twitter allowed (and allows) its platform to serve as a portal of defamation in order to undermine public confidence in plaintiff and to benefit his opponents and opponents of the Republican Party,” the suit says. The suit also claims that Twitter shadow-banned conservative accounts, including his own account, to restrict his free speech. The suit cites a 2018 Vice news story that used the term to describe a Twitter bug that had kept others from seeing a user’s tweets. According to the New York Times, the bug existed for only a short time. Jessica Levinson, a professor at Loyola Law School in Los Angeles, told the San Francisco Chronicle that Nunes is a voluntary public figure who must show that the alleged false statements were made with a reckless disregard for the truth. Opinion is also protected. Another potential roadblock is Section 230 of the Communications Decency Act, which shields websites that host third-party content, the New York Times points out. But Nunes alleges that Twitter made decisions with a political bent.